Once cooked through add about a quarter of the bbq sauce and stir well. 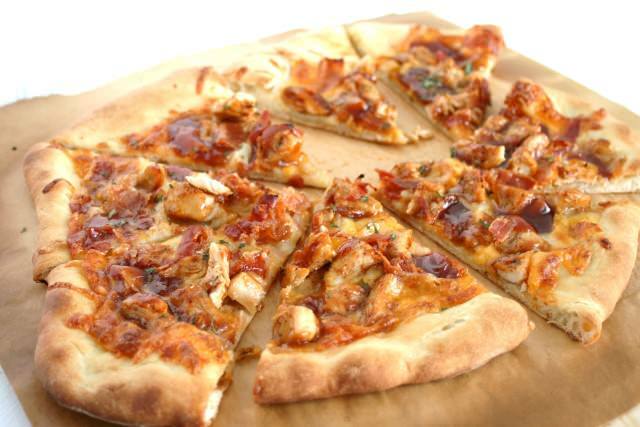 Top each pizza evenly with the bbq sauce, chicken pieces, bacon, onion and cheese. 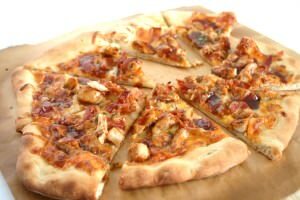 Bake the pizza for about 10 to 12 minutes or until the cheese is bubbling and the crust is golden.